LockBuilder for iOS8 is now available in the Macciti repo. 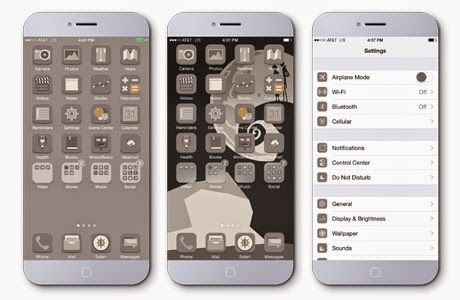 I started out years ago creating iPhone themes. This is when Winterboard had the ability to create html webpages you could place on the lock screen. I didn't know much about html lock screens, besides the little bit of coding you did to create a geocities and myspace page:) It was a big thing to release a lock screen with your theme, so I looked for some coders. Marty was one of the first guys I talked to about coding. He would make lock screens for my themes for $20-$50. I would gladly pay this as I had no clue how to do it. Looked at the code and just looked like a foreign language. I did this for a couple years. Just making simple lock screens for winterboard. Then I found cydget, cydget is the most powerful lock screen platform that exists. Some hate it some love it, but it has the potential to do things no other one can. The biggest feature with Cydget is it allows you to use obj-c in your code via Cycript. Normally you couldn't use obj-c in your html, it just isn't possible besides with Cydget. For example if I want to see how many images you have in a folder to display them in a slideshow on your lock screen I cannot. This is because of security reasons. You wouldn't want someone reading files on your desktop if you went to a website. Realizing the power of Cydget I began learning a new language Obj-c. Further beyond that I started learning to read dumped header from iOS. What I found was an amazing amount of information I could pull. Example notifications. With Cycript I can control the entire phone from my Mac. Not only that, I can control my entire phone from Cydget. This allows me to unlock the device by you pressing a text element, or pull notification count of the mail icon, and even place it on your lock screen. It is truly amazing what you can do. Back to my lock screens. Before knowing about Cydget and once I realized that most people used the same code to create different lock screens I had the idea why not make a lock screen that allowed you to move elements around the lock screen and save them. So I did, and called it miLock. miLock allowed you to move elements on the screen, change the color of them, and even set your weather settings directly from the lock screen. Something that was unheard of at that time. Then I found Cydget. Cydget allowed me to create files. For example if I wanted to make a plist I could, if I wanted to read a plist I could. So I furthered miLock by taking the elements you moved and saved them to a plist so not only could you customize your lockscreen you could save different lockscreen setups. This allowed me to create lockscreens without even coding, which to me was amazing so I built on that. Slowly I began to create what would be called LockBuilder. 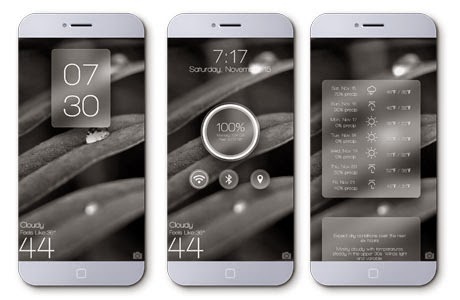 Added tons of features, options, elements to make it create almost any lock screen you see in cydia. Options such as way to set apps on the lockscreen, set their icon, and you could press it at any time to open an app. Open the app you last touched, alter the dim delay of the lockscreen, pull music info, pull notification info, create a tap to unlock and much more. 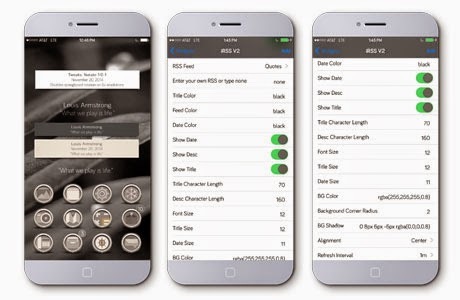 The first release of LockBuilder was a big time for me and was a big success. At that time I felt really accomplished in what I did, and wanted to make it even better. I created a lock screen that anyone could pick up. Take a day or so to get acquainted with it, and they could create their on personalized lock screens. Then upload it and share them with the world. Today I release the 3rd version of LockBuilder. Named LockBuilder Evo iOS8. It works on iPhone 5, 5s, 6 and 6plus. You can make one lockscreen and it will display on the devices listed. I added a theme browser that allows user to browse new (free) themes. Even created a better way to upload themes. With the power of Cydget and Cycript I can move files and make a folder structure that is ready to upload to cydia. Just zip it, add a screenshot, and that's it. New UI, and a UI that can be changed by adding a Winterboard theme. Even a GroovyLock addon that will take the LockBuilder theme and turn it into a stand alone GroovyLock lock screen (coming soon) It really has become something I would never imagined, while not perfect it is an amazing tool, and I love working on it. Now to thank the people who made LockBuilder as smooth as it is and full of features. My beta testers these guys pushed me when I said something was impossible, they planted seeds to bring amazing features. They tested built after build (in the hundreds) quality feedback and most have stuck with me through these last couple years. JokerG7, Gunny29, Ew4rty, MrTh3m3s, Wardever, DrewShaw, Jeeepers7 and LiQuiD. Amazing guys and I couldn't of done it without them. Also want to thank Saurik who was always there when I needed help and for creating Cydget and Cycript. That's my story of LockBuilder. Hope you enjoyed it check the links out at the top for more.